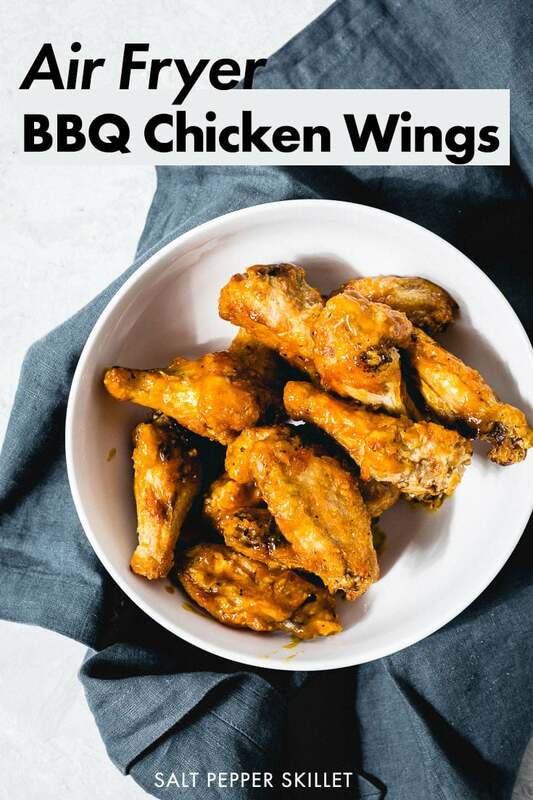 3-ingredient BBQ wings cooked in the air fryer don't get any simpler than this. 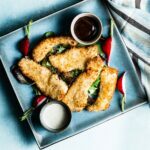 Chicken wings, potato starch and your favorite BBQ sauce all come together to make addicting crispy perfection. 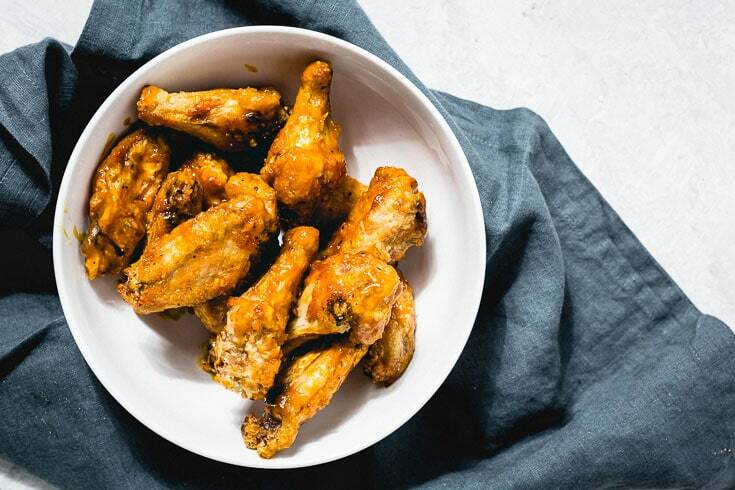 Put out a bowl (preferably a very large bowl) of super crispy chicken wings coated in sticky flavorful BBQ sauce and the room will go silent for just a few minutes until every wing is gone. These wings are semi-homemade because we’re just using your favorite BBQ sauce as the sauce. This gives you the flexibility to go sweet, spicy or whatever in between you can imagine. It ain’t a party until the wings hit the table. There’s really no debate around crispy chicken wings, until it’s time to sauce ’em up. Here’s an idea to get some wing variety. 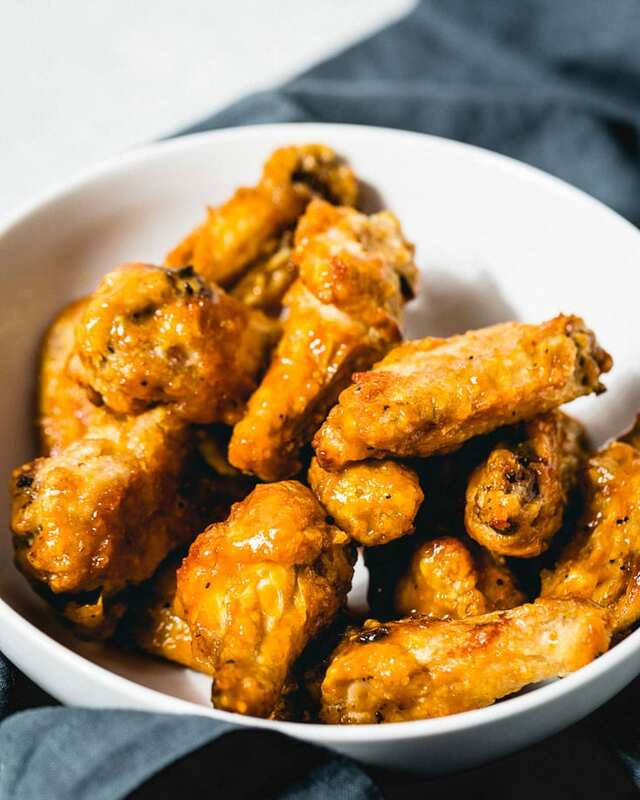 Take on the job of cooking the perfect crispy wings and ask friends to bring their favorite BBQ sauce (or any type of wing sauce) to the party. When the wings are cooked, toss them in the different sauces to see which is the best. It’s a really fun way to try a variation of wings and not have to do much work. Since these wings are air fried instead of deep fried, they need just a tiny bit of help to become the best crispy wings you have tested. 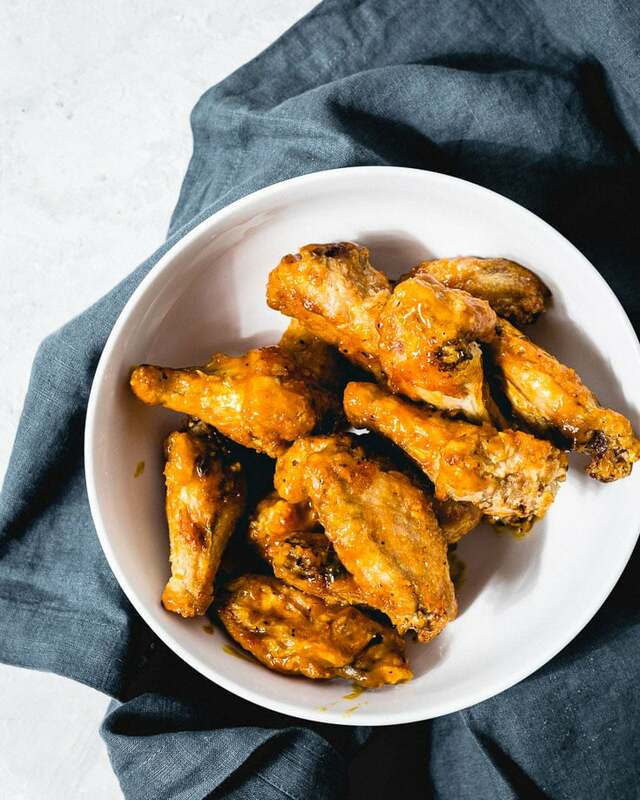 Giving the chicken wings a light coat of potato starch is the secret to making the wings incredibly crispy in the air fryer. The coating vanishes into a crispy crust when they cook, and it’s something you will just need to try to believe. You can pick up Bob’s Red Mill Potato Starch at most grocery stores or on Amazon (affiliate link). Pre-heat the air fryer to 375° F.
Place the potato starch in a medium bowl. Season the wings with kosher salt and them with the potato starch on all sides. Shake off the excess. Place the wings in the air fryer basket and air fry at 375° F for 20 minutes. 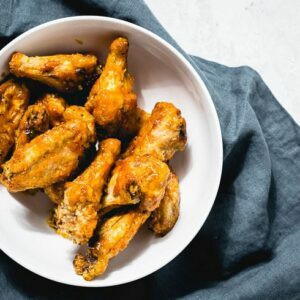 Increase air fryer temperature to 425° F. Turn the wings and continue to cook for 15 more minutes. When the wings are crispy and finished cooking; place them in a bowl and toss with the desired amount of BBQ sauce before enjoying immediately.